To change the gobo design, just to take out the gobo which is 37.3mm in the diameter from the projector, you can do it all by yourself. 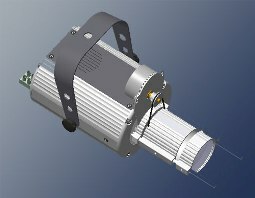 Customers don't have to worry, the lighting projector is easy to operate. 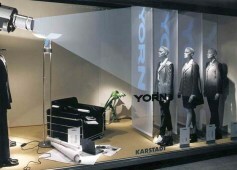 It aims at an excellent spatial art and sales promotion advertisement lighting handily by one button operation. Various lighting such as interior lighting, the design lighting, and the import lighting etc. sell in cheap prices. The best advertisement tool to publicize you store or company. Others Stainless steel Gobo or color glass Gobo can be use. Features　 Don't need DMX control, easy to project image out. also 6m distance the projection logo will be in 2m Dia. size. 1503W is rotation type and 1501W is fixation type. We have various LOGO Projectors for you to choose.